There are main doors on the north side of the church (i.e. on Dundas St), and a south door at the back of the church, where there is a small amount of parking available (accessed via St Bartholomew St, which is one-way eastbound). The workshop will be held upstairs in the church itself. 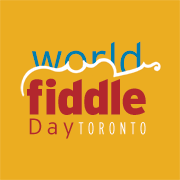 Please confirm your attendance at the workshop by e-mailing us at: worldfiddledaytoronto@gmail.com. I think it will be a wonderful day.